1. 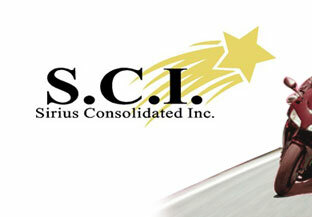 How does Sirius Consolidated Inc ship? 2. Do you offer wholesale pricing? 4. How do I order from the KIMPEX, ICON, THOR, PARTS CANADA & Motovan catalogs? 6. How do I clean my carbs? 7. How do I tune my carburetor? 8. Can I custom order jet sizes to make a custom jet kit? 9. 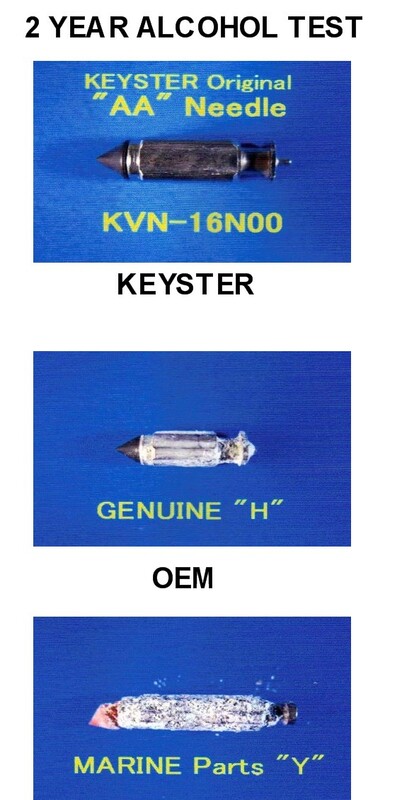 What is the quality of Keyster parts? You choose your shipping option! You can purchase any number and any size items FLAT RATE UPS for $14.00 US in North America (ie. 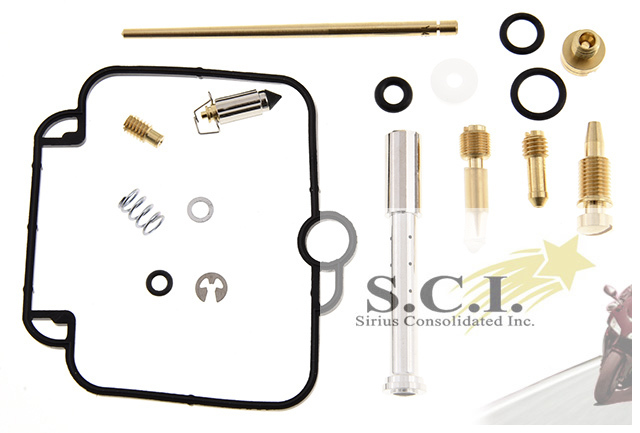 buy 2 carb kits; battery; helmet, etc FLAT RATE $14.00 S&H EXCEPT TIRES & HI and AK). International customer purchasing larger and mulitple items heavier than 5kg please contact for a shipping quote. U.S. & INTERNATIONAL SHOPPERS NEVER HAVE TO PAY TAX! We accept VISA; MASTERCARD; DISCOVERY; AMEX (WE NEVER SEE YOUR CREDIT CARD INFO, if you order directly from our site) and PAYPAL www.PAYPAL.com paypal@siriusconinc.com; MONEY ORDERS (please no green US POSTAL money orders); PERSONAL CHECKS and cash. NOTE: As we are in Canada some US credit cards default to only allow US based purchases and will be declined on checkout. If you call the number on the back of the card they can switch it to allow a purchase outside the USA then retry the transaction. Over 250,000 items are available now on our sister site www.siriusmotosportsinc.com This site has its own checkout but if you purchase from both sites we will refund one of the shipping charges. Most items will ship next day, if not we will advise. Full refund or exchange for parts that do not fit or that are incorrect or defective. All other returns are subject to a 20 percent restocking fee. Returns must arrive via USPS or Canada Post, all other carriers will be rejected. The elements of internal combustion engines are: correct fuel/air ratio, spark at right time, adequate cylinder compression. There are many passageways and openings to check and clean. All are important in function and when obstructed or not working properly, have subtle to radical effects on engine performance. Vacuum leaks and carburetor synchronization also have effects on performance and should be inspected and adjusted following the below procedures. Remove all rubber parts before you begin. These parts usually include vacuum diaphragms, needle valves, o'rings, hoses, and other parts. Spray cleaners will damage these parts. Do not disassemble individual carbs from the carb bracket. Once the jetting is set and the bike is running good, there are many factors that will change the performane of the engine. Altitude, air temperature, and humidity are big factors that will affect how an engine will run. Air density increases as air gets colder. This means that there are more oxygen molecules in the same space when the air is cold. 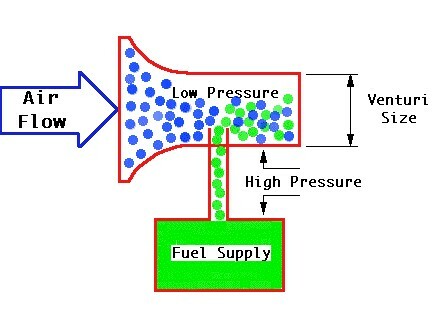 When the temerature drops, the engine will run leaner and more fule will have to be added to compensate. 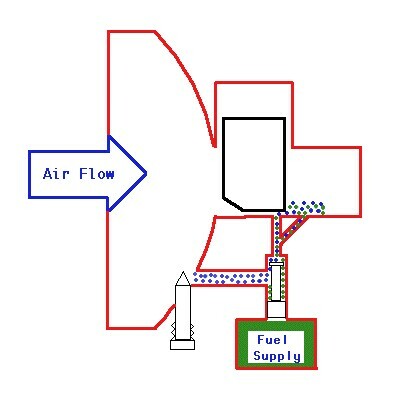 When the air temerature gets warmer, the engine will run richer and less fuel will be needed. An engine that is jetted at 32š fahrenheight may run poorly when the temperature reaches 90š fahrenheight. Humidy is how much moister is in the air. As humidy increases, jetting will be richer. A bike that runs fins in the mornings dry air may run rich as the day goes on and the humidity increases. 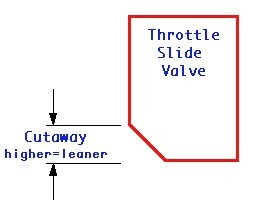 Correction factors are sometimes used to find the correct carburetor settings for changing temperatures and altitudes. The chart in fig 8, shows a typical correction factor chart. 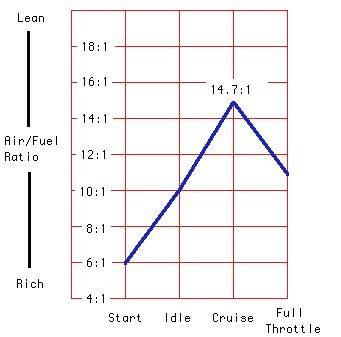 To use this chart, jet the carburetor and write down the pilot and main jet sizes. 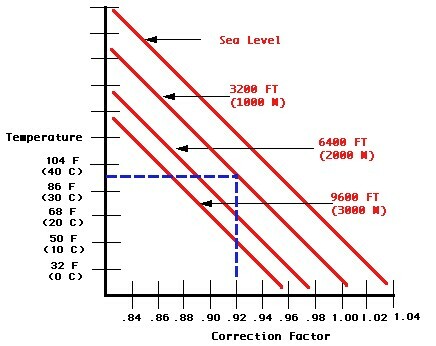 Determine the correct air temperature and follow the chart over to the right until the correct elevation is found. Move straight down from this point until the correct coreection factor is found. Using fig 8 as an example, the air temperature is 95š fahrenheight and the altitude is 3200 ft. The correction factor will be 0.92. 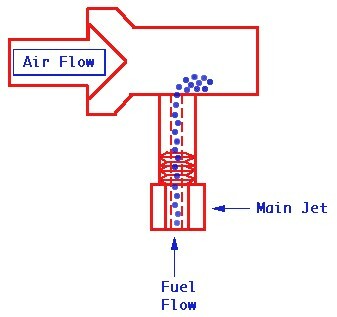 To find out the correction main and pilot jets, multiple the correction factor and each jet size. A main jet size of 350 would be multiplied by 0.92 and the new main jet size would be a 322. A pilot jet size of 40 would be multiplied by 0.92 and the pilot jet size would be 36.8. 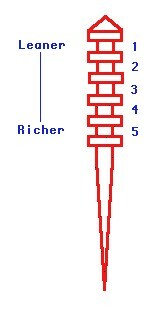 Correction factors can also be used to find the correct settings for the needle jet, jet needle, and air screw. Use the chart from fig 9 and determin the correction factor. 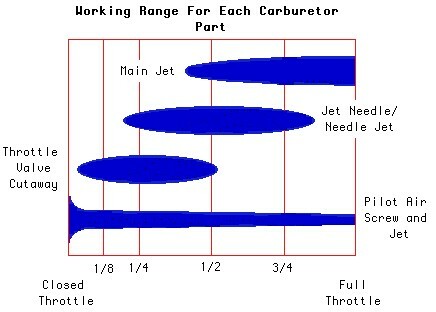 Then use the table below to determine what to do with the needle jet, jet needle, and air screw. Sure just e-mail us the sizes you need and we will custom make up a kit for you. Keyster carb parts are now better than OEM, see this 2 YEAR ALCOHOL float needle study.